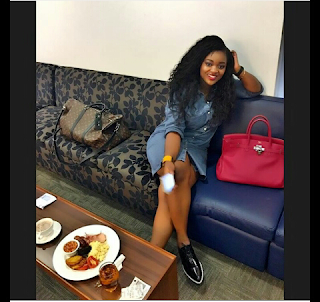 CHECHESMITHNATION : Ghanian Actress, Jackie Appiah Flaunts Her 4 Million Plus Hermes Hand Bag! Ghanian Actress, Jackie Appiah Flaunts Her 4 Million Plus Hermes Hand Bag! Pretty Jackie was photographed days bag chilling on board with her pricey red Birkin Hermes Hand Bag.